Rome, Italy’s Eternal City is one of the world’s most beautiful and inspiring capitals. 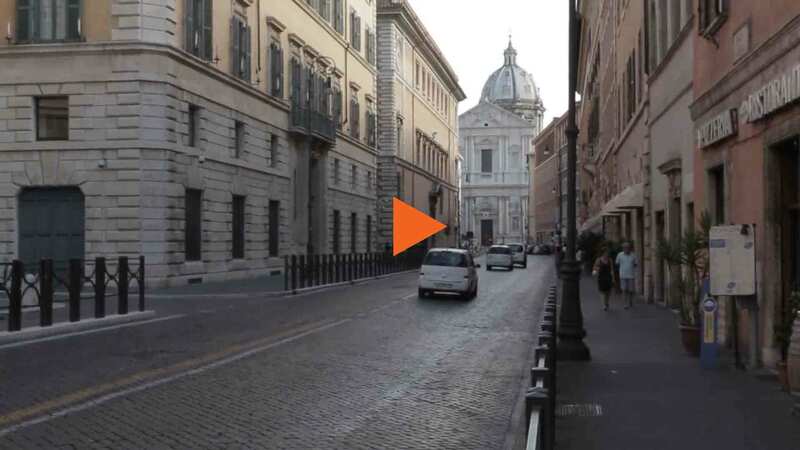 Few cities can rival Rome’s astonishing artistic heritage. Throughout history, the city has starred in the great upheavals of Western art, drawing the top artists of the day and inspiring them to push the boundaries of creative achievement. The result is a city awash with priceless treasures. Ancient statues adorn world-class museums,Byzantine mosaics and Renaissance frescoes dazzle in the city’s art-rich churches, baroque facades flank medieval piazzas. Walk around the centre and without even trying you’ll come across masterpieces by the giants of the artistic pantheon – sculptures by Michelangelo, canvases by Caravaggio, Raphael frescoes and fountains by Bernini. The result of 3000 years of ad hoc urban development, Rome’s cityscape is an exhilarating spectacle. Ancient icons such as the Colosseum, Roman Forum and Pantheon recall Rome’s time as the fearsome hub of the Roman Empire, the caput mundi (capital of the world), while catacombs and clandestine churches hark back to the early days of Christianity. Lording it over the Vatican, St Peter’s Basilica is the greatest of the city’s monumental basilicas, a towering masterpiece of Renaissance architecture. Elsewhere, ornate piazzas and elaborate churches add a baroque flourish to the city’s historic streets. A trip to Rome is as much about lapping up the dolce vita lifestyle as gorging on art and culture. It’s about relaxing into the city’s Mediterranean rhythms and idling around the picturesque streets. Whiling away hours at streetside cafes and people-watching on pretty piazzas are an integral part of the Roman experience. The tempo rises as the heat of the day fades into the evening cool and the fashionably dressed aperitivo (aperitif) crowd descends on the city’s bars and cafes. Restaurants and trattorias hum with activity and cheerful hordes mill around popular haunts before heading off to cocktail bars and late-night clubs. Eating out is one of Rome’s great pleasures and the combination of romantic al fresco settings and superlative food is a guarantee of good times. For contemporary fine dining and five-star wine there are any number of refined restaurants, but for a truly Roman meal search out the city’s boisterous pizzerias and convivial neighborhood trattorias. These are where the locals go to dine with friends and indulge their passion for thin, crispy pizzas, humble but delicious pastas, and cool white wine from the nearby Castelli Romani hills.